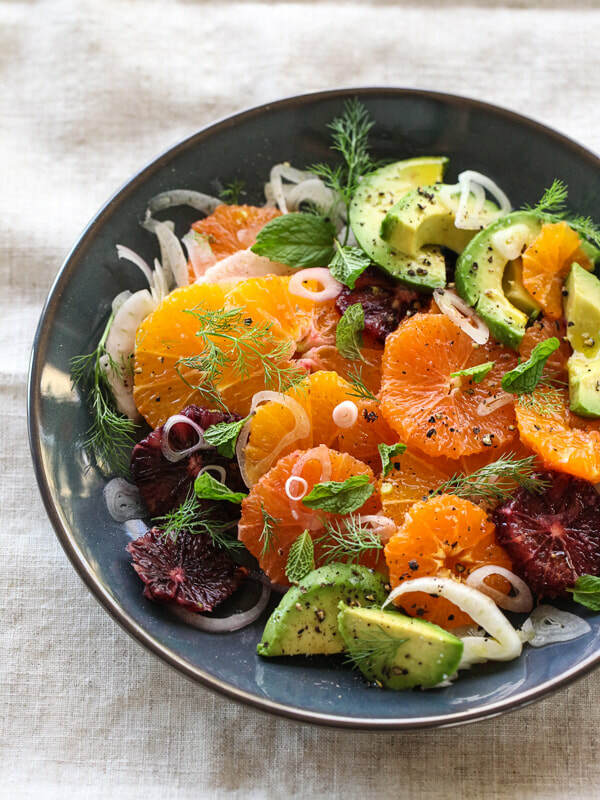 Combine the orange slices, fennel, and avocado in a salad bowl. In a small bowl whisk together the orange juice, olive oil, honey and parsley. Pour over salad ingredients and combine carefully. Add salt to taste.